Frustrated because your tracks don’t sound professional & full? Let Hyperbits, a producer with 30+ million streams and credits on Universal, Sony & Ultra, show you exactly how to use saturation to create warmer, fatter, & more analog sounding productions. What do professionals know about music production that I don’t? How do ‘real’ producers craft such well–defined, powerful but CLEAN sounds? What plugins should I use to inject this ‘label-ready’ quality into my own songs? Spoiler alert: It’s not nearly as complicated as you think. This in-depth 45-minute video will explain the answers to these questions and more. 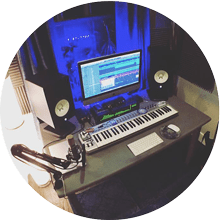 I’ll share the exact studio secrets I use when I remix artists like Beyonce, Laidback Luke, and Nick Jonas. 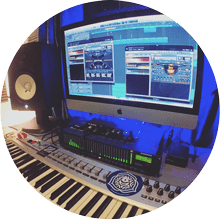 Consider this your invite to watch over my shoulder as I apply these key, sound-enriching techniques to create powerful leads, groovy & punchy drums, and epic effects to transform a dance track. I overcame the same struggle you’re going through, and a major part of that was learning how to use saturation. This is your chance to do it too. Grab your seat here. WHAT CAN SATURATION DO TO YOUR MUSIC? In short, saturation is THE most effective way to add analogue edge and warmth to your music – often meaning the difference between sounding digital, flat & dead, versus analogue, warm & alive. With that in mind, this workshop is a game changer. 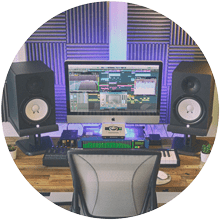 In just under an hour, learn the fundamentals of saturation and why it is one of the most important and fundamental tools you’ll use as a music producer. Besides, it’s free – so why not?